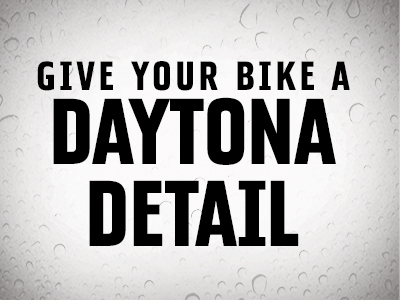 Overview: Give Your Bike a Daytona Detail! Your bike makes you look good. Give it a full detail before heading out to Daytona Bike Week. Schedule the work in the month of February to be ready to roll! Ready to Rally Checklist - complete surface wash & buffing, chrome polish & wheel detailing, final hand wax application, lube, oil, filter, tire check and safety evaluation.